There has been an increase in demand for wireless speakers and headphones lately. So much so, that it gets confusing as you choose from a variety of Bluetooth speakers, with varying specs, prices and quality. 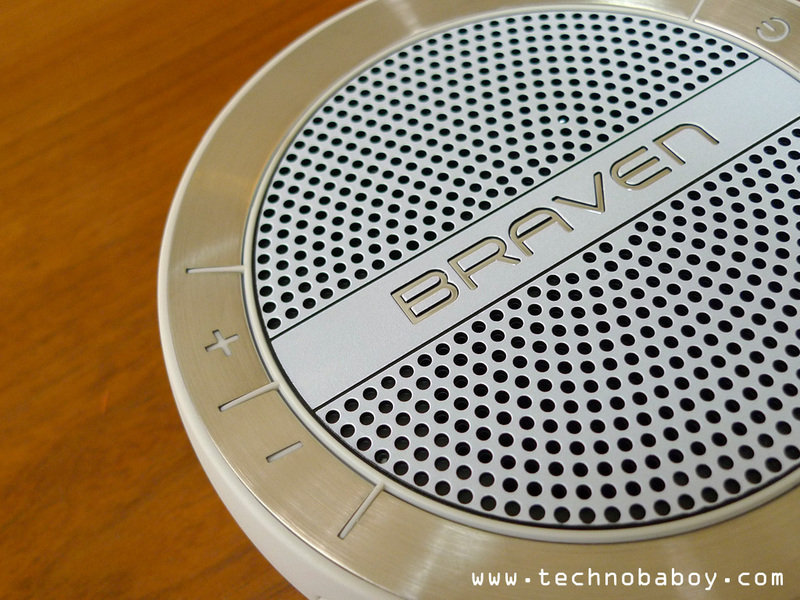 Braven decided to set itself apart from the rest by coming out with a fine-looking speaker made for your home with an added feature- water resistance. 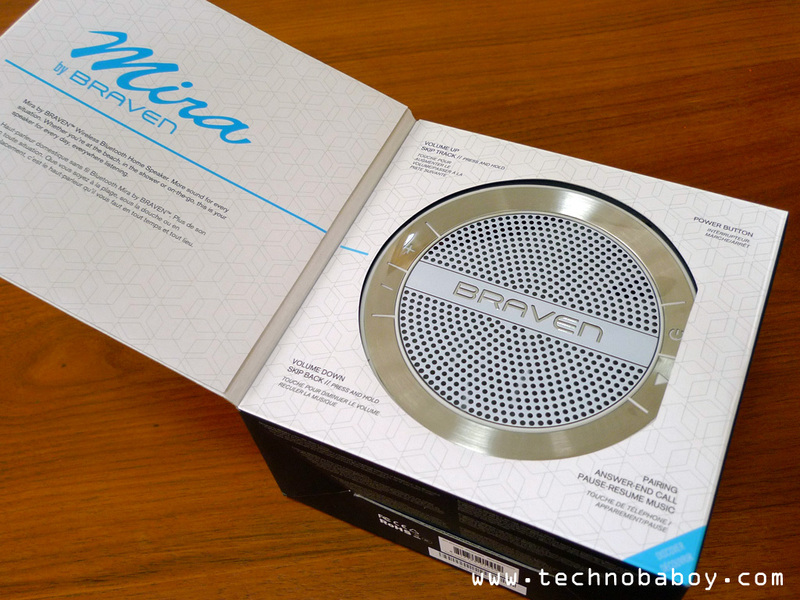 Thus, the Braven Mira was born. Opening the box, I was surprised at how good the Mira looks. The gunmetal ring that lines the face of the speaker gives it a polished look. 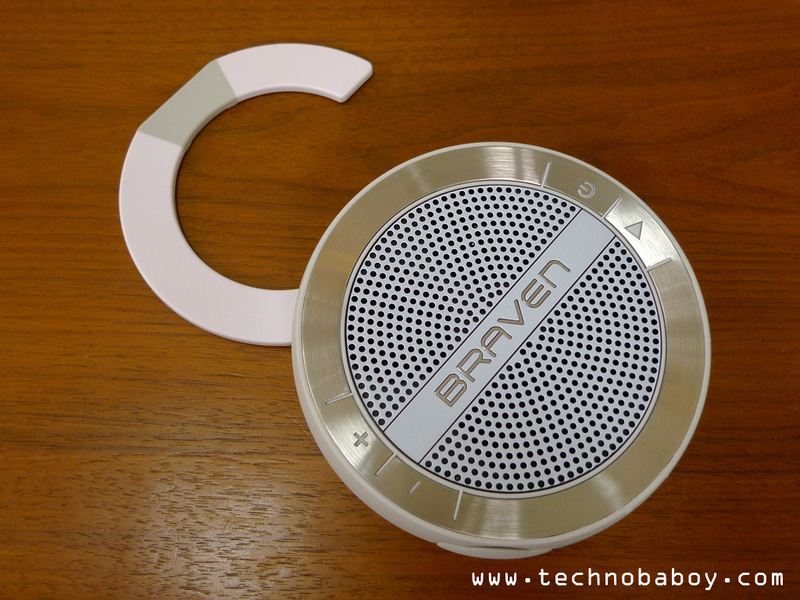 The body of the speaker is covered by a rubber material designed to keep it from slipping and protect it from bumps, as well as give it that rugged feel. The retail package comes with a water resistant carrying pouch, a 3.5mm AUX cable, the manual, and a micro-USB to USB charging cable. On hand, it feels very good. 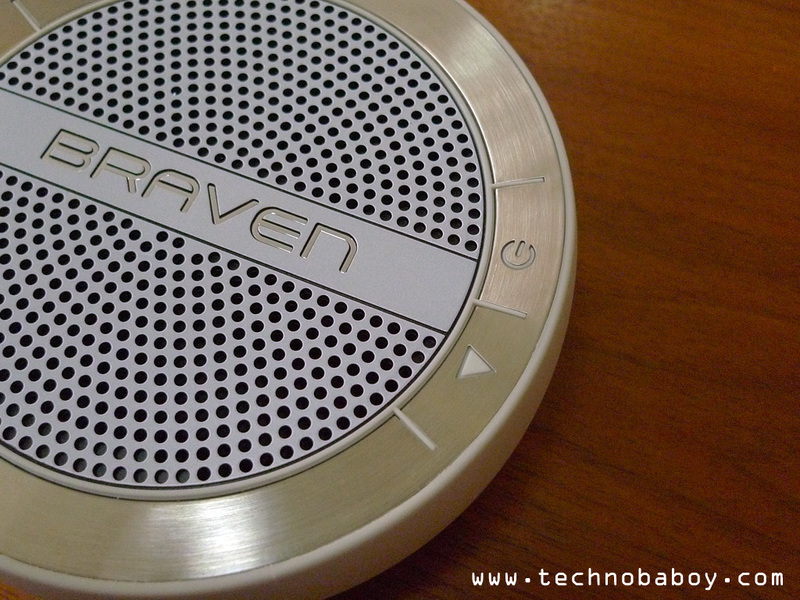 The small speaker has an excellent build quality. I like that it’s very compact and very solid. It’s quite rugged looking for a home speaker. Up front you’ll find the previously mentioned gunmetal ring where the controls are located. 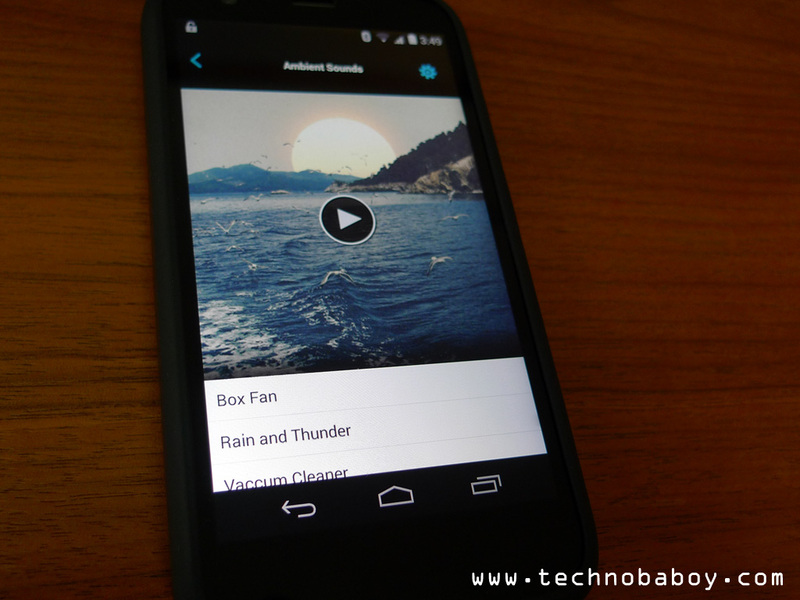 The volume controls are on the left, while the power button and the multi-purpose play button are on the right. 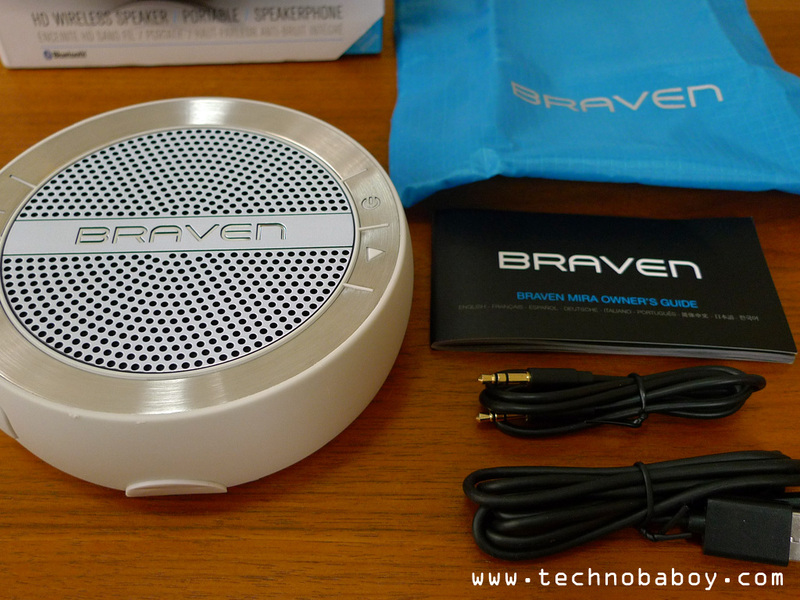 The speaker grill is also in front, with the Braven logo cutting across it. At the back you’ll find the multi-purpose hook. You can use it as a stand and let the speaker face you. Or you could just hang it somewhere, like near a pool or in the shower for some listening while bathing. Just remember that the Mira is water resistant, not water proof. There’s a difference. It can survive being doused with water for a short while, but will probably die if completely submerged. On the side is where you will find the AUX port, the micro USB charging port and a reset button. It is recessed, and covered by rubber flap for added water resistance. Be sure to always check if the flap is sealed before bringing this in the shower. The controls give the Mira an added convenience for a speaker intended for home use. The volume controls work well. They could also be used to skip or go back on a track by pressing and holding for a few seconds. My only gripe at this point is that the buttons are a little stiff and hard to press. I guess you can blame its “ruggedness” for that one. It doesn’t take away anything from the experience though. Another feature that I find convenient is that the Mira turns itself off after 30 minutes of non-activity. 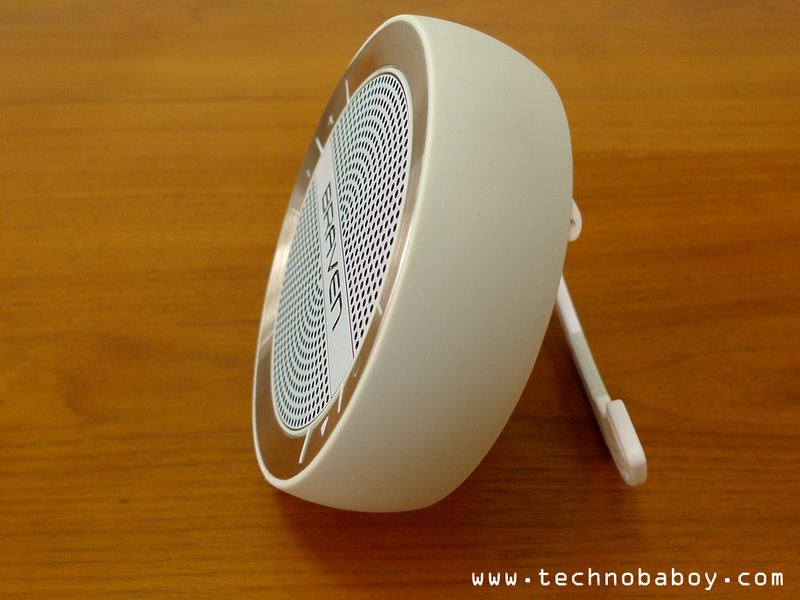 Very handy if you fall asleep while listening or if you simply forgot to turn the speaker off. A Mira companion app is also available to download from both Google Play and Apple’s App Store. It’s easy to use and works well. 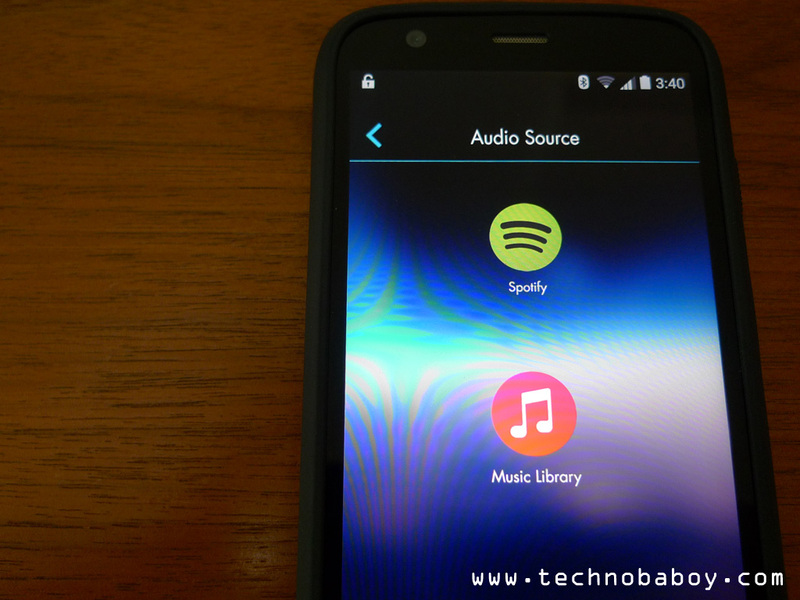 You can create custom playlists from songs saved locally on your device, and from Spotify. Interestingly, there is also an option to play ambient sounds like rain and thunder, a box fan and a vacuum cleaner to name a few. It’s for those nights where you have a hard time sleeping in a dead silent room. You can even set a timer on how long it plays. 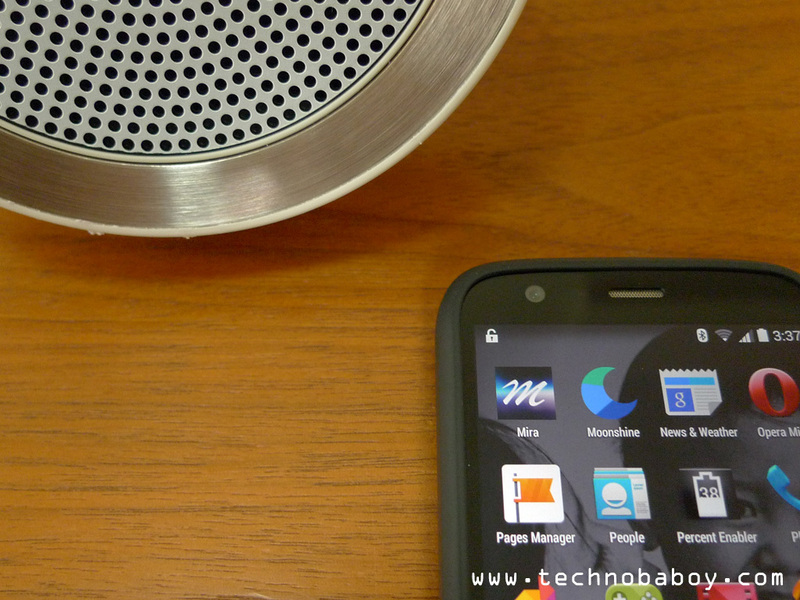 For a speaker this small, Mira surprised me again with its audio performance. You’ll be in awe as to how good and loud it can go for the size. Sound is crisp with good highs and clear vocals, characterized by a warm signature. Even at full volumes, you can hardly notice any distortions. It can easily fill a medium to a large sized room. Sound stage is above average as well. 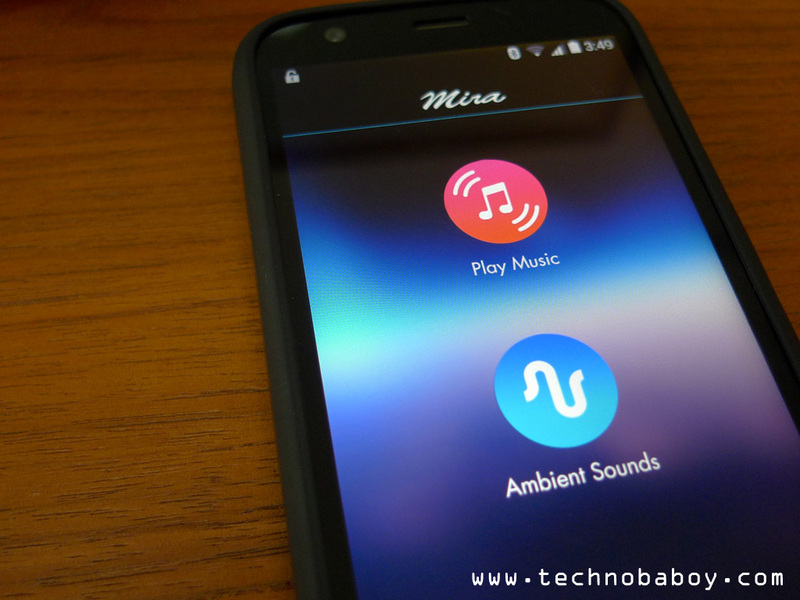 Overall, the Mira does a great job without sacrificing the details and overdoing the bass. It performs great as a speakerphone as well. Calls were clear, with both sides easily hearing and understanding each other, thanks to the noise cancelling microphones. 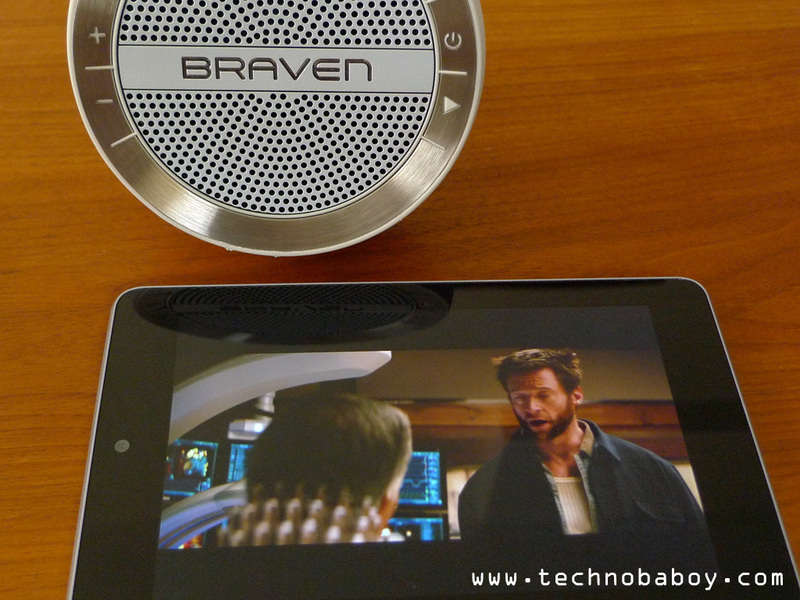 The Braven Mira is rated to have 10 hours of battery life. I can say that the number is not overstated. I got a close to that during testing, maybe even more if you lower the volume. 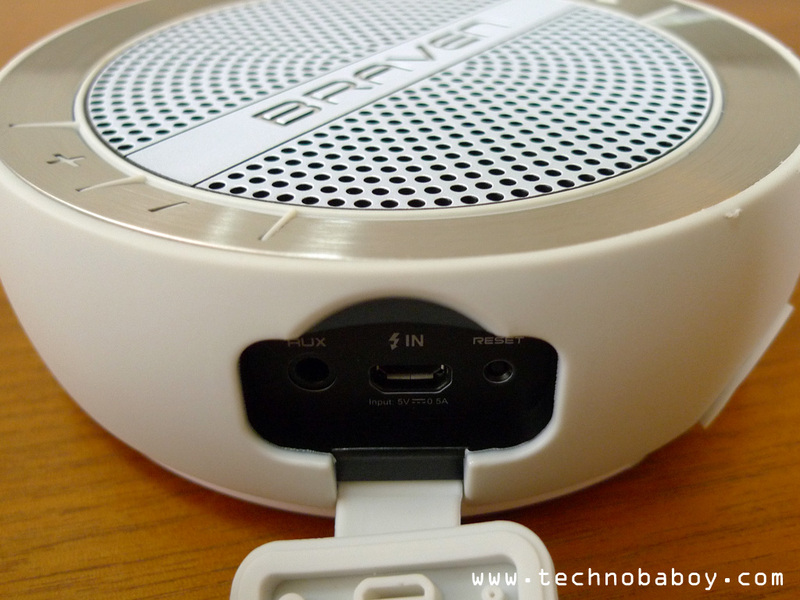 The speaker needs around 3 hours to fully charge. 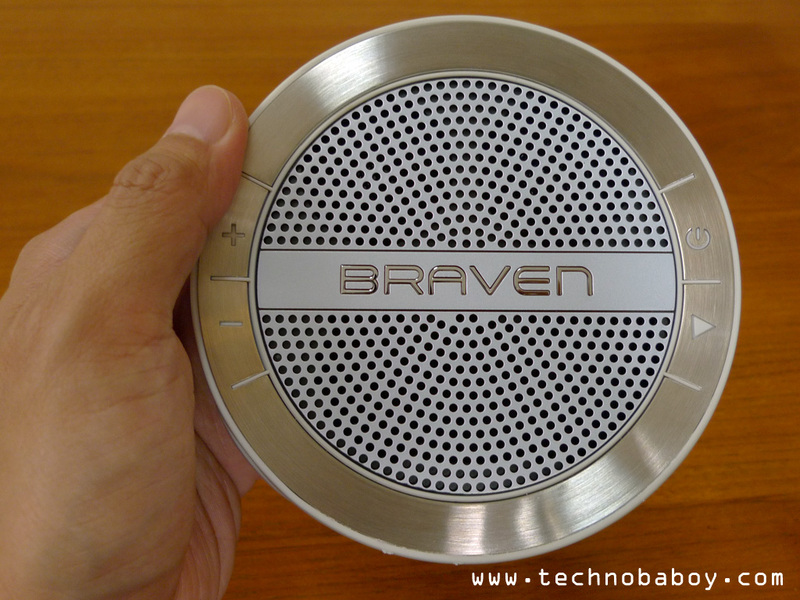 For P4,450, the Braven Mira will give you a good looking Bluetooth speaker that sounds great and looks good as well. 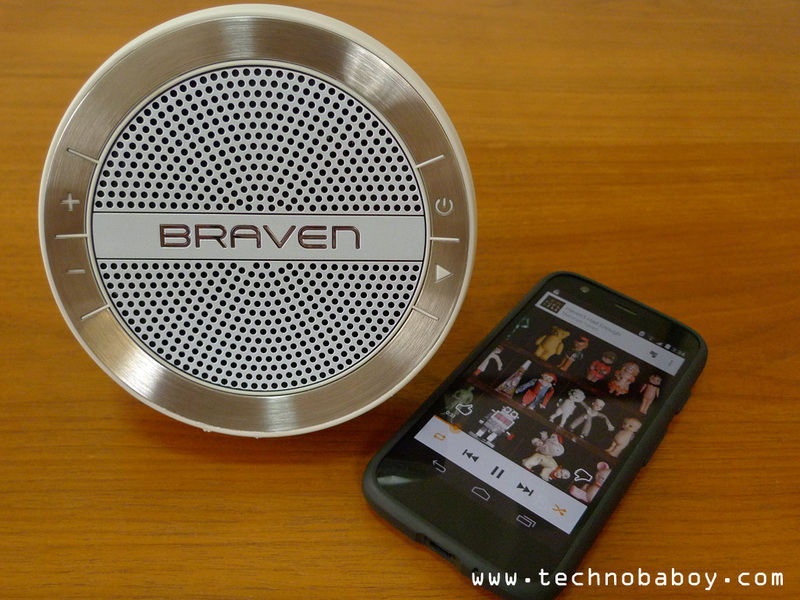 It has decent build quality, and its water resistance allows it to go where most Bluetooth speakers can’t. It’s intended for home use, but its relatively small size and rugged build make it an ideal outdoor companion as well. 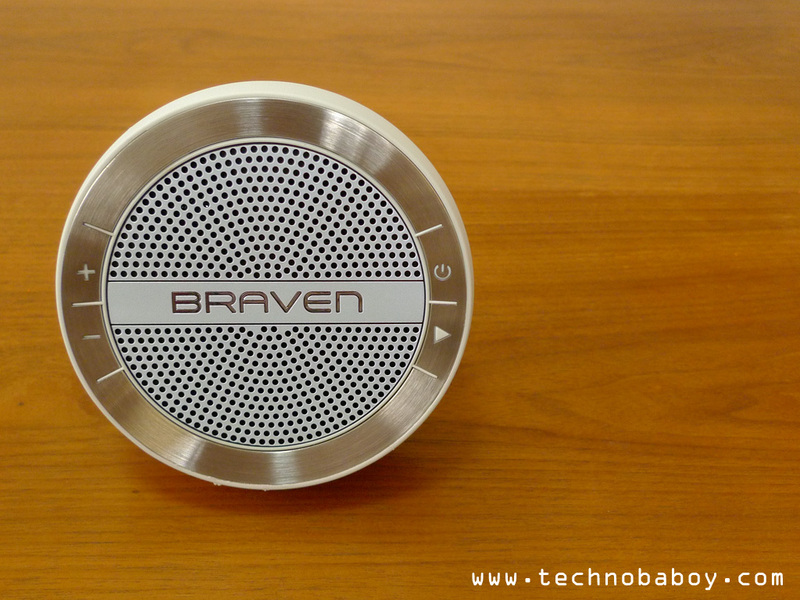 The Braven Mira is available in Digital Walker boutiques nationwide. It is distributed by Digits Trading. For more information about them and their products, please visit their Facebook page (https://www.facebook.com/digitstrading). Is the Zenfone 5 Lite on the way?